Experience the highlights of Uruguay, Brazil and Argentina during a 16-day tour of South America. 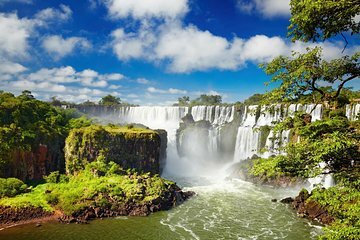 With your informed, professional guide, visit Buenos Aires and the spectacular Iguazu Falls. Trek on Perito Moreno glacier in Tierra del Fuego and cruise on the River Plata to UNESCO World Heritage city Colonia in Uruguay. Get the inside scoop on the eclectic culture and history of each country from your engaging, friendy guide. Overnight accommodation, some meals and round-trip hotel or port transportation are included.